How Wide Is a Twin Mattress? What Are the Dimensions of Beds? When purchasing bedding, you need to know the size of your mattress. 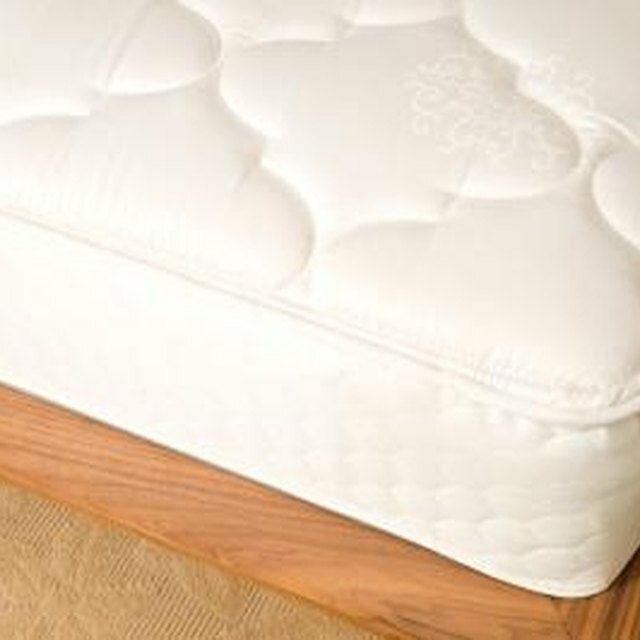 The common mattress sizes include twin, double or full, queen and king size. The standards make purchasing a frame or bedding from a variety of different manufacturers possible without worrying about differences in sizing. Mattress sizes are standard to adjust to different manufacturers. Suitable for one individual in most cases, a twin size bed is also frequently used by single people and children. Twin mattresses are 75 inches long and 39 inches wide. Twins are also available in extra-long lengths in college dormitories, adding an extra 5 inches for taller individuals. A full, or double, size bed is 54 inches wide and 75 inches long. It is the next size up from a twin bed and is common for guest bedrooms, a single individual who desires more space or two small individuals who do not mind sharing a smaller space. A full size bed limits each person's space to 27 inches each as opposed to a twin bed that gives someone 39 inches of space. Both wider and longer than twin and full size beds, the queen size bed measures 80 inches long and 60 inches wide. It is suited for people who are taller and couples who want additional space to spread out, giving 30 inches of space to each person in the bed. A queen size bed may not be suitable if you or your partner are larger in size or like to spread out. The largest bed, measuring 76 inches wide and 80 inches long, is the king size bed. It offers 38 inches to each person in bed when split in half and is long enough to accommodate taller individuals. You can alternately purchase a California king, which cuts the width down to 72 inches but increases the length to 84 inches for extra tall people.